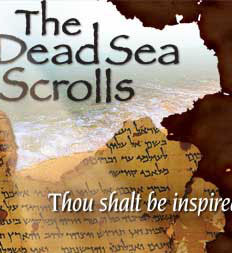 The Dead Sea Scrolls are ranked among the world’s greatest archaeological discoveries. Rarely seen outside Jerusalem, selections of these 2000 year-old documents as well as over eighty archaeological treasures were on display. The scrolls survived in hidden caves for over twenty centuries only to be discovered in l947 by a Bedouin shepherd searching for a lost goat. Since then, scholars have worked to preserve, restore and translate these priceless relics. This exhibition featured 12 scroll fragments. This exhibition was organized by the Israel Antiquities Authority and The Dead Sea Scrolls Foundation with the Grand Rapids Public Museum.